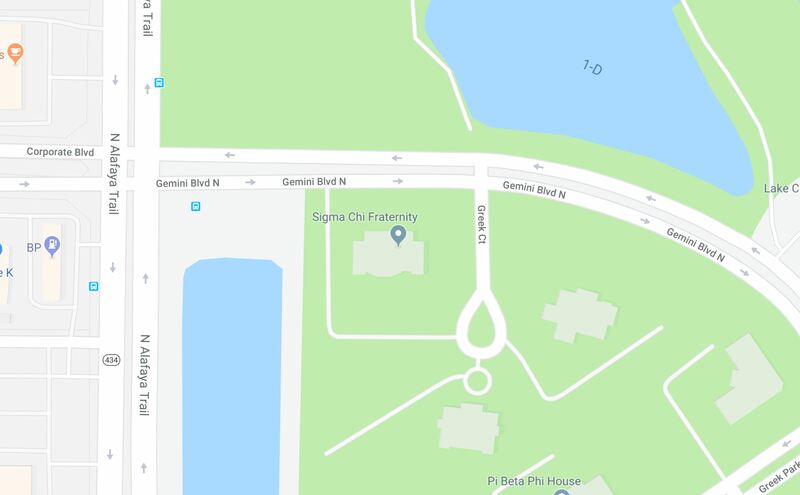 The University of Central Florida Police Department sent out an alert to students early Monday morning about a suspicious incident surrounding the Sigma Chi parking lot. A student left the Sigma Chi fraternity house to retrieve something from his car when he encountered what he thought was a friend needing help, according to the police report. The suspect then pushed the victim, causing him to fall and hit his head on the ground, sustaining minor injuries. The student got up and approached a second time, the police report states, and was held up with a small knife before attempting the grab the weapon with one hand and the suspect’s arm with another. The hand used to hold back the weapon sustained minor injuries and the student was pushed back on the ground a second time. The suspect ran northwest into a hole in the fence and was not seen again, according to the police report. Officers set up crime scene tape around the parking lot and searched for the suspect but no results would be found. UCF Police describes the suspect as approximately six foot tall, black male, dark complexion, with short black wavy hair, wearing a white shirt, dark pants, and dark shoes. “It’s important to remain vigilant and never hesitate to contact police if you see activity that seems suspicious,” a UCF Alert said. “UCFPD can be reached 24/7 by calling 911 in an emergency or 407-823-5555 for non-emergencies.